Roatan Honduras is a long narrow island that has various communities within it. The island itself is 60 km long and about 5 km wide. It has a mountainous backbone, which affords spectacular views of the turquoise Caribbean Sea. Roatan has a population of about 60,000 souls, and most of them live in the towns of Coxen Hole and French Harbour. Roatan Honduras, as well as the rest of the Bay Islands have a strong British Heritage. The Bay Islands are in the Gulf of Honduras, which is the corner of the Caribbean where Honduras, Guatemala and Belize converge. The second largest barrier reef in the World starts at the northeast corner of the Yucatan Peninsula and reaches as far south as the Bay Islands of Honduras. This makes the islands a paradise for divers and snorkelers. The three populated islands, Utila, Roatan and Guanaja offer World Class diving in their reefs. I must say that the Meso American Reef may be the second in length worldwide, but it is the most biodiverse. Furthermore, International conservation agencies have consistently given Honduras’ reefs the highest scores in the region. This means that the state of conservation of the reefs that surround the Bay Islands is the best in the region! But there is a lot more than reefs to talk about when describing Roatan Honduras. The island has become one of the most popular cruise ship ports of call in the Caribbean. There are many good reasons for this. First is its geographic location. 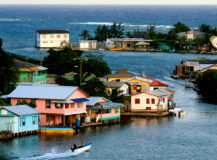 Roatan Honduras is close to the Cruise ships home ports in Cozumel, Florida and Texas than most other Caribbean Islands. 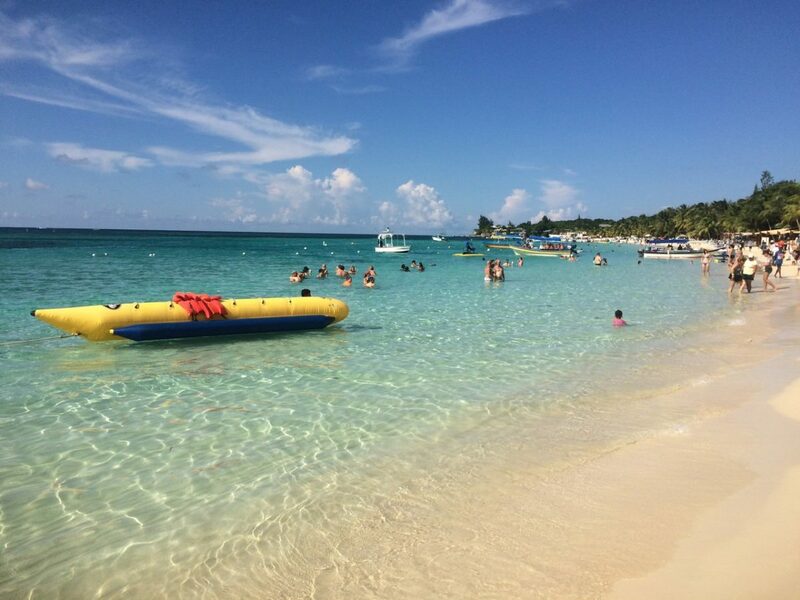 Second, Roatan offers spectacular beaches and friendly people. 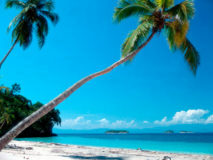 Getting to this island paradise in Honduras is quite easy. Several airlines service the The Juan Manuel Galvez International airport in Roatan. Air service is available through American, Avianca, Delta and United Airlines. Nonstop charter service is also available from the Canadian cities of Toronto and Montreal. A second alternative is to fly into Honduras via the Ramon Villeda Morales Airport in San Pedro Sula. This is the main gateway into Honduras, and from there you can either take a direct flight to Roatan or travel overland to La Ceiba. 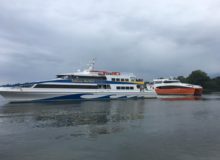 There is a twice daily ferry departure from La Ceiba to Roatan. 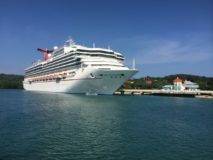 However, most first time travelers stumble in avertedly on the island during their cruise ship port of call Mahogany Bay Terminal. This is an all-inclusive passenger terminal that offers many activities within its premises. 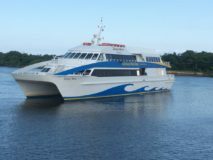 Many passengers don’t even leave the facility and miss out on the beauty of the island and hospitality of its people. The second facility is the Port of Roatan facility that is managed by Royal Caribbean Cruise Line. This facility is within the premises of the city of Coxen Hole and therefore makes it easier for travelers to explore the island. Why do Travelers Visit Roatan Honduras? As I stated above, most travelers arrive on a cruise ship. Many develop a need to come back and discover the island, and even consider buying some real estate. They therefore morph from being cruise ship passengers into full fledge tourists on their next visit. The geography of Roatan makes it very easy to enjoy magnificent views without having to be on the beach. This of course makes it a lot more affordable when you are looking at real estate. 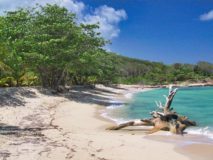 As a matter of fact, The Bay Islands of Honduras offer some of the most reasonable prices in the Caribbean when it comes to real estate deals. The above, together with the fact that native islanders speak English as their main language makes it a natural for real estate investment. The result has been a solid development of condo units that have been very successful. Most of this development has taken place on the Western tip of the island. Reputedly, the best beach on the island is at West Bay. This is precisely the area where most foreign investors have chosen. However, many expat residents prefer the area around Sandy Bay, that is much quieter. They also have nice beaches and there are many nice boutique hotels in this area. Which are the Nicer Communities in Roatan Honduras? 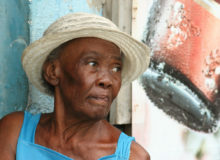 There are many communities in Roatan Honduras. As a rule, the smaller communities are more charming and quainter. The two larger cities, Coxen Hole and French Harbour are not particularly nice. There is no big reason to visit Coxen Hole. French Harbour does have some good oceanfront restaurants that justify a visit. You can have a great meal at Romeo’s or at Gio’s. Ironically, these owners of these two restaurants are brothers who compete to attract clients. Another spot worth visiting in French Harbour is the Bucanneer Beach Club. This was once the best hotel in Roatan Honduras. Today it houses an interesting museum as well as a beach club and the most complete beer bar on the island. Across the island from French Harbour is the Pristine Bay development. This is by far the nicest, most ambitious residential and tourism project on Roatan, Honduras. Part of the complex includes the Black Pearl Golf Course. This is a championship golf course designed by Pete Dye. You can stay an the Las Verandas Resort of rent a lovely luxury home. Finally, if you are looking for an authentic relaxed Caribbean experience, you should head out to the East End. Choose between Calabash Bight, Jonesville and Camp Bay, among others. Here, you will experience a peaceful setting with friendly people. Villages who have lived from fishing more that tourism. More basic infrastructure. This is the Caribbean as it was 50 years ago! 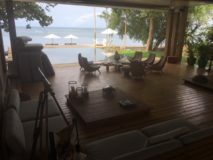 Where Should you Stay when Visiting Roatan Island? 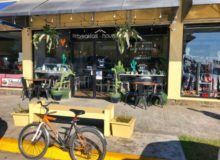 If you are looking for a small community with beach front shops, cafes and bars, they you need to visit or stay in West End Village. This is a quirky village with lots of charm and personality. Some people are looking for more of a resort setting. If this is your case, then consider West Bay Beach. Here you will find a variety of resort style hotels, such as the Paradise Beach Villas, and Infinity Bay. If you prefer an all-inclusive resort, you may want to stay at the Henry Morgan or at the Mayan Princess. They are the two premier all inclusive resorts in Roatan and both are at West Bay Beach. Hidden between West End and West Bay are Xbalanque and Ibagare. These are top end intimate boutique hotels. 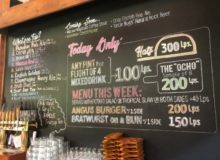 For a more boutique experience, check out the area around Sandy Bay. Here you will find a variety of alternatives. Sandy Bay is close to West End, so escaping there for a bit of more active night scene is almost effortless! If you prefer an authentic Caribbean experience, then I suggest you head out to the East End. There you can have the pristine Camp Bay beach almost to yourself! If you want a clothes optional beach, check out Paya Bay Resort. The property has a fantastic private beach that is clothing optional. 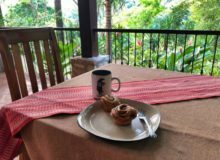 What can you do in Roatan? There are many different things to do in Roatan. Of course, diving is what attracts many of its faithful repeat customers. 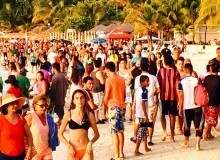 Others come for the beaches, arguable the best in Central America and top in the Caribbean. But there is a lot more to do than diving and enjoying the beach. For one, there is very good deep-sea fishing. You can also charter a boat and go the pristine Hog Cays also known as Cayos Cochinos. The pidgeon cays, off Barbateta Island are also an all time favorite for a Robinson Crusoe experience. Having Fun in the Cangrejal River. Photo Luis Aguero. Many tourists visit Roatan Honduras and completely miss out on the mainland. It is a shame that being so close, they do not take advantage and discover more of Honduras. There are many safe destinations in Honduras that you can visit. One of them is that is very close to Roatan is the Cangrejal River Valley in La Ceiba. This area is only 30 minutes from the ferry terminal. 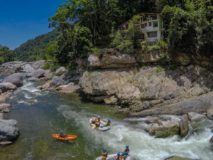 This is without doubt the nature and adventure tourism hotspot in Honduras. There are so many activities available here, that you should plan on at least 3 nights here. Copan Ruinas, of course, is another World Class destination that you should visit. 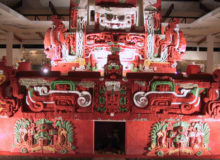 This is one of the top Maya Archaeological sites in the World. It also offers many unique experiences that you will only have there. One of the them are the magnificent Macaws that fly freely all over the park. Another is the great charming colonial town. There you will find many cafes and bars. There are also many lovely hotels in town that you can choose from. Make sure that when you visit Roatan Honduras you plan on a few extra days to explore mainland Honduras. You will be happy that you did!